The Inspired by Vintage Quilts book features a collection of our most stunning quilts from the Quilters Companion series. 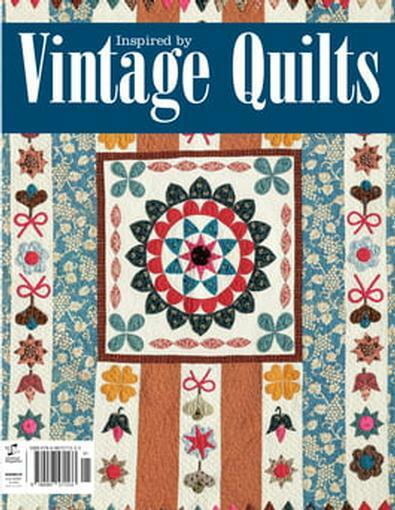 This perfect coffee table book is full of all your favourite quilt patterns and ageless designs, bringing a new meaning to the word “Vintage”. Broken up into three chapters - Applique, Pieced and Medallions - Inspired by Vintage Quilts presents a total of 15 intricate quilts in the one book. Each quilt design comes with full-size templates, two pattern sheets and inspiration from some of Australia’s most well-known and respected artisans that quilting has to offer. Be the first person to tell us what you think about Vintage Quilts and you'll save $5 on your next purchase!